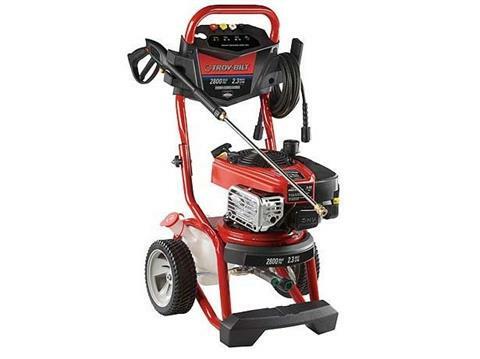 Great for cleaning driveways, patios and siding, the Troy-Bilt® 2800 Max PSI / 2.3 Max GPM pressure washer will help you complete the cleaning projects around your home. Powered by a Briggs & Stratton Professional Series™ OHV engine with ReadyStart®, you can rest assured that you have a durable, reliable engine ready to provide a powerful performance. Designed with you in mind, this pressure washer even features a fold-down design and on-board detergent tank for additional convenience. ReadyStart® System - No Prime. No Choke.